Fiji Island Hopping - island hopping adventures in paradise! 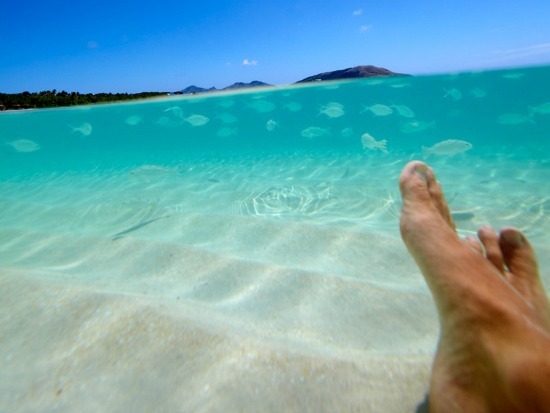 Ever wondered how to island hop in Fiji? Discover how to do this amazing exotic adventure by island hopping your way around stunning Fijian islands! You've probably heard the tales. Island hopping from one idyllic sun drenched island to the next, staying in beach side accommodation and doing whatever you please. If this sounds like fantasy, then it's also reality! This one-of-a-kind island hopping experience in Fiji is offered by Awesome Adventures Fiji and it's called the 'Bula Pass Combo'. If you have all the time in the world and you like to do your own thing, this is the perfect way to explore the idyllic Yasawa Islands in Fiji. With all your transfers pre-paid, it’s easy to hop from resort to resort when you please. There are 12 islands in the chain of 20 that offer accommodation. 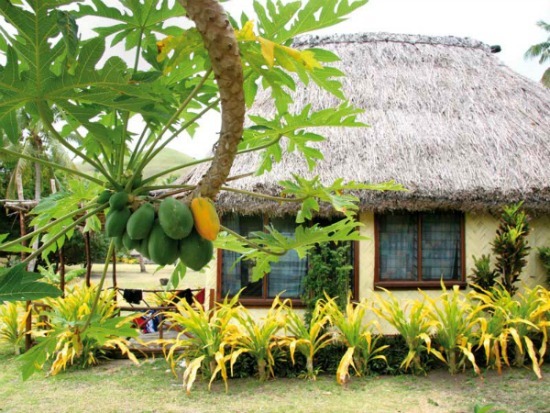 The 31 island resorts operated by villagers vary in standard, setting, style and the attractions in the local area can differ but, all resorts offer that wonderful hospitality unique to Fiji. The Bula Combo Pass is an extension to the Bula Pass offering an easy, hassle free way to pay for both your accommodation, meals AND transfers before you leave the mainland. With a Bula Combo Pass in hand, you have the freedom to choose the places you want to stay and do the things you want to do with the ease of prepaid accommodation. All you need to do is choose where you’d like to be a couple of days ahead and book through the Travel Desk on board Yasawa Flyer. Bookings are subject to availability and some resorts are very popular so if you want to be sure, it’s best to plan a bit further ahead. If the resort of your choice is fully booked, reservations staff will suggest an alternative of similar nature. We suggest you at least book your first two nights before departing Port Denarau, just to get you started. All accommodation bookings can be made at the Travel Desk on board Yasawa Flyer or contact Awesome Adventures reservations. What is 1 coconut accommodation? The accommodation is typically basic but usually in really beautiful locations. Often these resorts do not have hot water however; the local water supply is tepid. More than likely, you will have a fan as opposed to air-conditioning. All these resorts are run by Yasawan Fijians who love hosting you and sharing their lives with you. Bring your own towel, soap and other necessities. Meals are included in the price. If you need a hair dryer, 1 coconut accommodation is maybe not for you! Look into a 2 coconut Bula Combo Pass if you are looking for somewhere a bit more modern. What is 2 coconut accommodation? These resorts are more modern properties with a higher standard of accommodation and amenities than the 1 coconut accommodation. Although more modern, the properties still have a strong Fijian flavour to make you feel welcome and immerse you in Fijian way of life. You could either have a fan or air-conditioning in your room and meals are included with optional upgrades. Look into a 1 coconut Bula Combo Pass if you are looking for somewhere more basic. 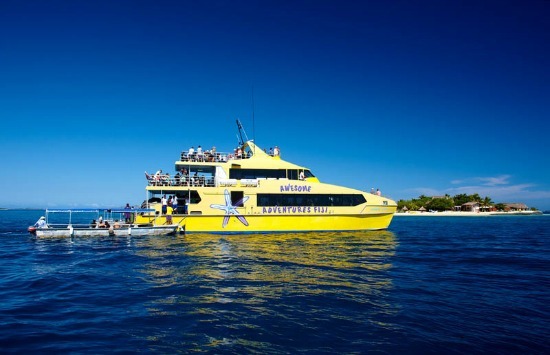 Guests on a 1 coconut Bula Combo Pass can upgrade to 2 and 3 coconut resorts but a surcharge will apply and is payable at the Travel Desk on board Yasawa Flyer when you make your booking. Guests on a 2 coconut Pass can choose to stay at a 1 coconut property but no partial refunds are available. If you want to step up for a night and go 3 coconuts our reservations staff at the Travel Desk will advise the extra cost. As much as we’d love to offer a 3 coconut Bula Combo Pass, there’s too much variation in price between the 3 coconut properties. If you plan to stay in 3 coconut properties, we suggest you purchase a Bula Pass and book your accommodation separately. Check out all the accommodation options here. * Rates are in Australian dollars (AU). These are prices at time of writing and Awesome Adventure Fiji can change their prices at any time. 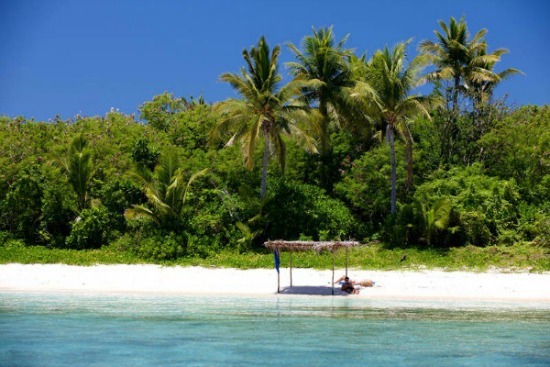 Reservations are done on the Awesome Adventures Fiji - Bula Pass Combo site. The coloured icons represent the 'Coconut Rating System' for the Fiji island hopping accommodation and their location on the map.